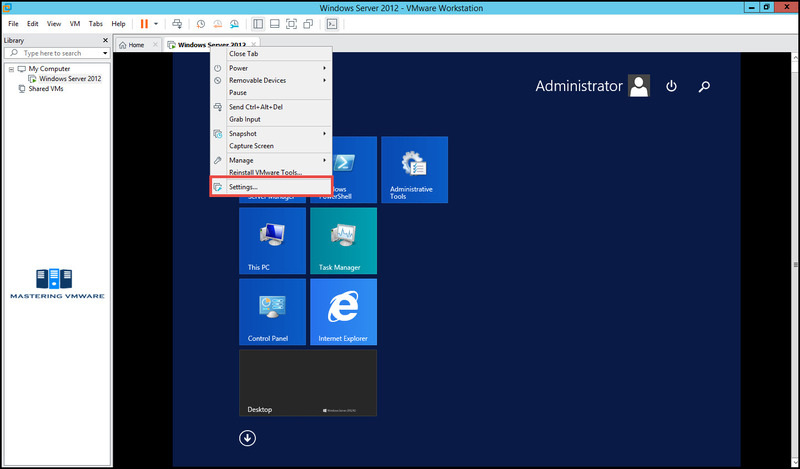 In this series of posts we are discussing about VMware Workstation and how it can be useful for you to create and mange your own test environment. 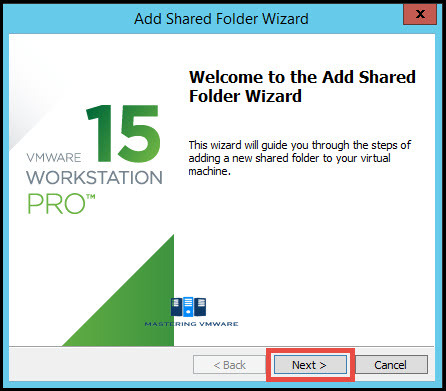 In this post we will see on How to configure shared folders in vmware workstation for virtual machines. 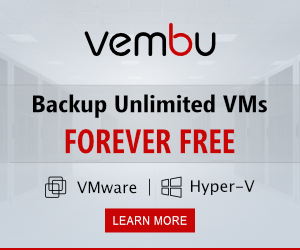 Shared Folders are very useful when you are simulating virtual environment so that every time you don’t have to copy files to the virtual machine. 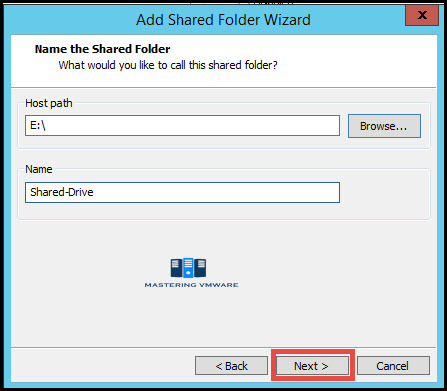 Shared folder you can easily map as a network drive so that you can access the files from your host machine. 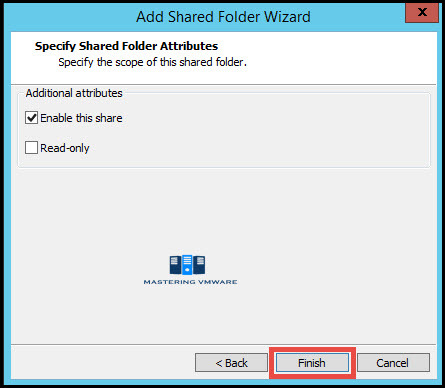 Select the VM on which you want to configure shared folder. Right click on the VM. Here you can see settings for shared folders. 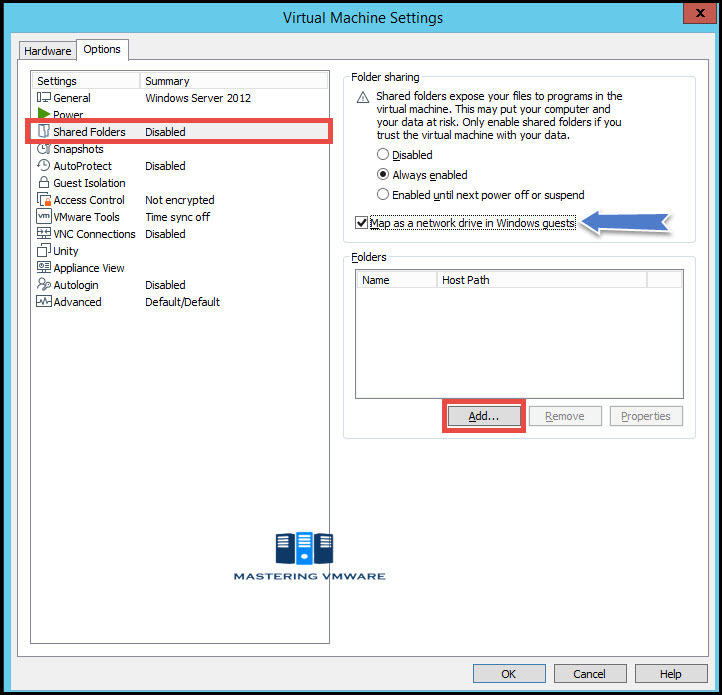 Select Always enabled so you don’t have to enable it every time when you power on VM. Click Add button to add folder. Share folder wizard starts. Click Next to continue. 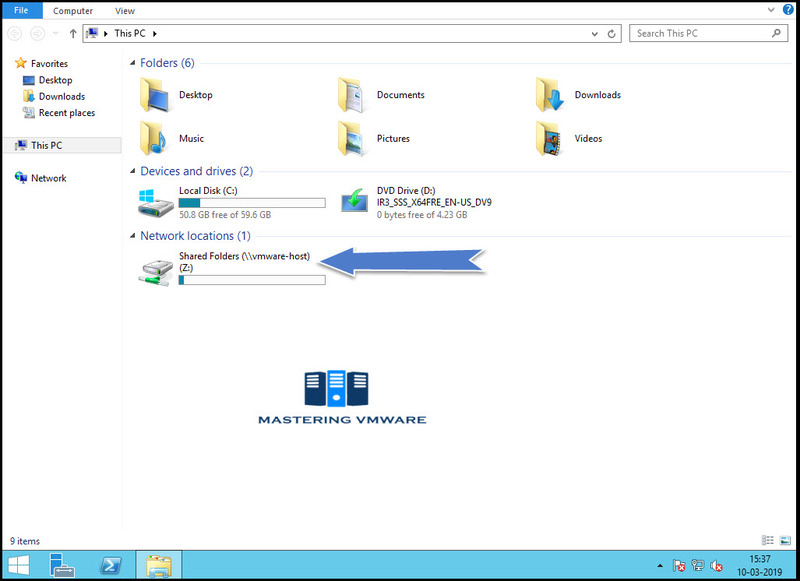 Click on Browse and select the folder which you want to share inside your virtual machine. Give name to your shared folder. You can specify permissions here. Set the permission which you want and click Finish to add folder. Now you can see that your folder is listed under folders section. 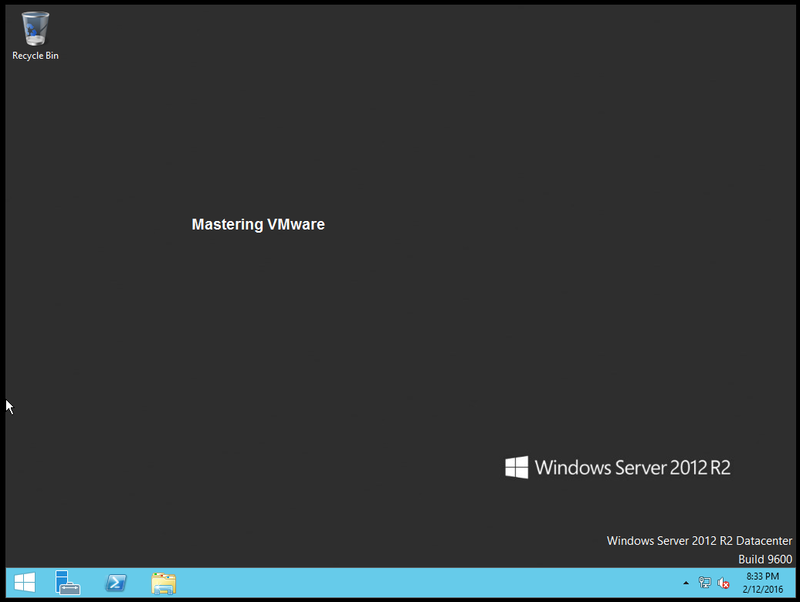 Now inside your virtual machine you will see your shared folder is visible. you can access the shared folder and copy data. 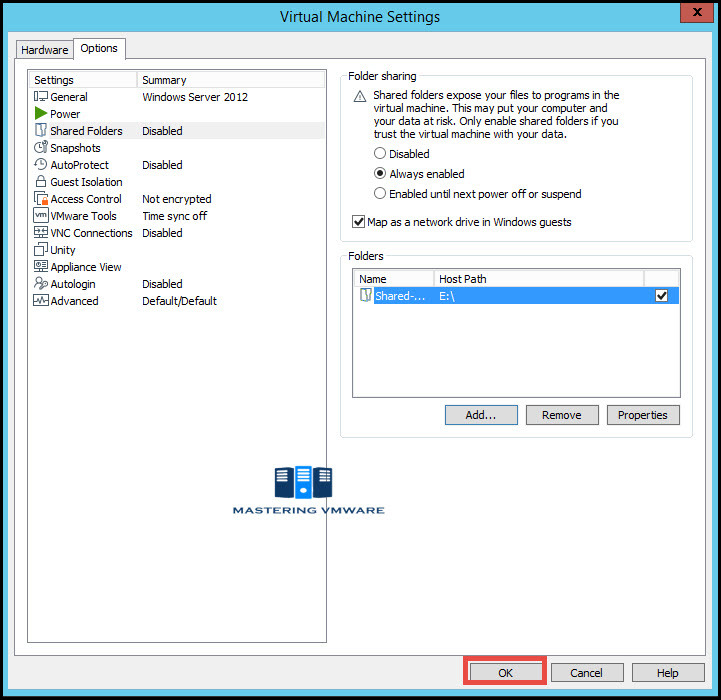 So using this way you can easily configure shared folders in your virtual environment so that you don’t have to copy files every time when ever required .